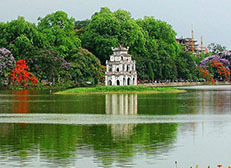 Ho Chi Minh Complex, the One Pillar Pagoda, the Temple of Literature and Vietnam's first University, the Museum of Ethnology, the Old Quarter, the beautiful Hoan Kiem Lake and the French Quarter. 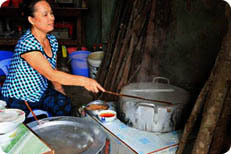 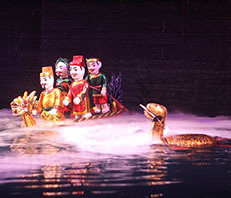 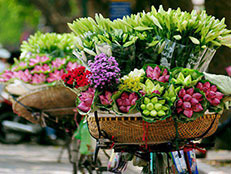 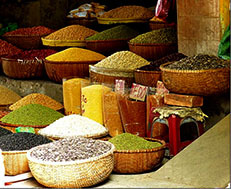 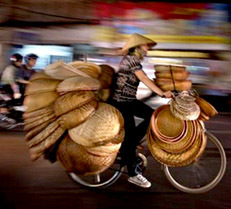 Join us to see the heart and soul of Hanoi. 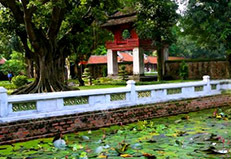 Learning fascinating stories of Ho Chi Minh, visit the famous Temple of Literature and Vietnam's first University, head to the wonderful Museum of Ethnology, wander through the vibrant Old Quarter and admire the French Quarter. 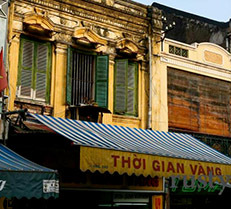 After breakfast we take a short drive to Ho Chi Minh Complex. 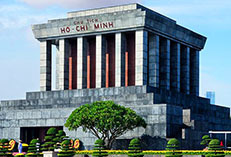 From here we visit the Ho Chi Minh Mausoleum and his lush living quarter. 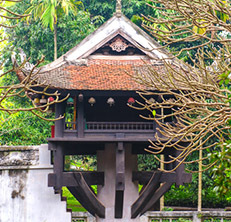 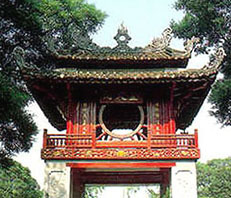 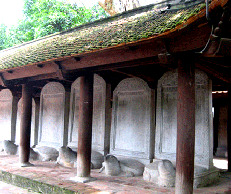 Time is also spent strolling around the One Pillar Pagoda and its surroundings, before we drop into the serene Temple of Literature and Vietnam's first University. 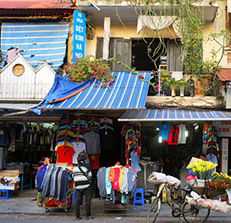 Following that we wander through the most fascinating portions of Hanoi's Old Quarter. 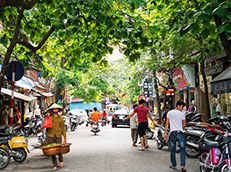 We pass through some guilded streets and to the colourful local market of Dong Xuan where we can get a real glimpse into the locals’ daily life. 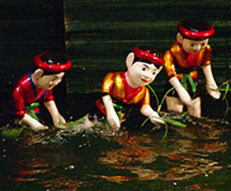 Vietnamese music that employs drums, wooden bells, horns and bamboo flutes. 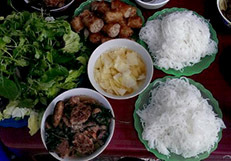 (Lunch is included). 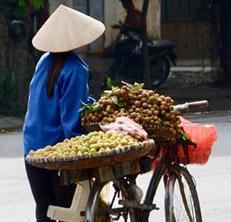 Easy strolling with a 2-5 km. 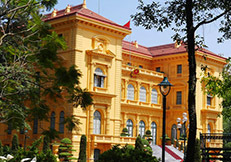 - $56USD per person for a group of 2 to 7 people. 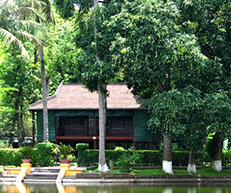 - $39USD per person for a group of 8 to 10 people.